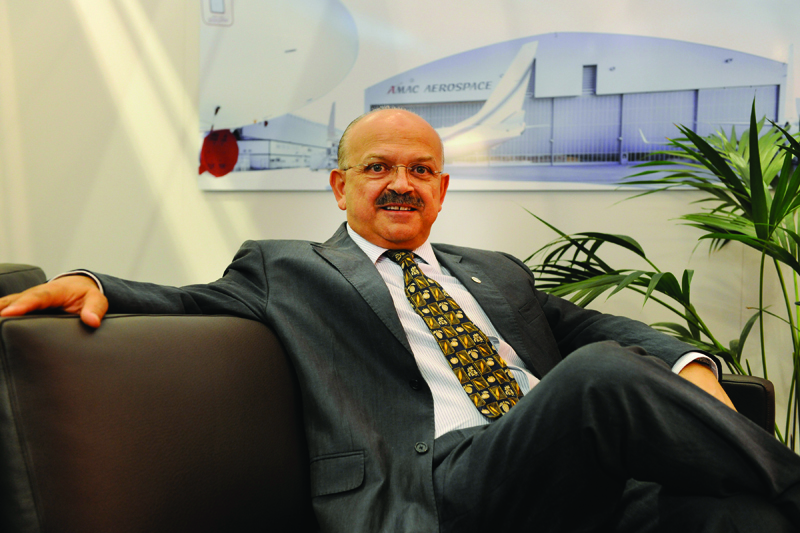 AMAC Aerospace’s recently acquired 16,000-sq-ft, $10 million hangar in Istanbul will be up and running by the end of this year, according to Kadri Muhiddin, executive chairman and CEO. The facility is to be used to provide maintenance support for the Pilatus PC-12NG, for which the company was recently appointed a fully authorized and exclusive sales agent in the Middle East. “In the interim, we will subsidize the work with small jets,” Muhiddin told AIN. AMAC has a total work force of 500 with sales of $1 billion. AMAC will market the Pilatus in Saudi Arabia, the United Arab Emirates, Yemen, Kuwait, Iraq, Bahrain, Qatar, Syria, Jordan, Lebanon, Egypt and Turkey. While only a handful of the turboprop singles are flying in the region, Muhiddin is confident the number will soon increase. “The Pilatus is an underestimated plane. When we bought it, our shareholders were reluctant, but now they see the logic of the buy. The $4.6 million, six-seater can be extended to eight or nine seats. It can land on gravel, grass and can do short landings and takeoffs. It is the Rolls-Royce of aircraft,” he said. With a claimed running cost of $1,500 per hour, the aircraft is ideal for the Middle East market, where many destinations are within half an hour of each other, argued Muhiddin. “Besides, it can be changed to a cargo configuration and can also be used as an ambulance. If Australia can do it, why not the Middle East?” he said.